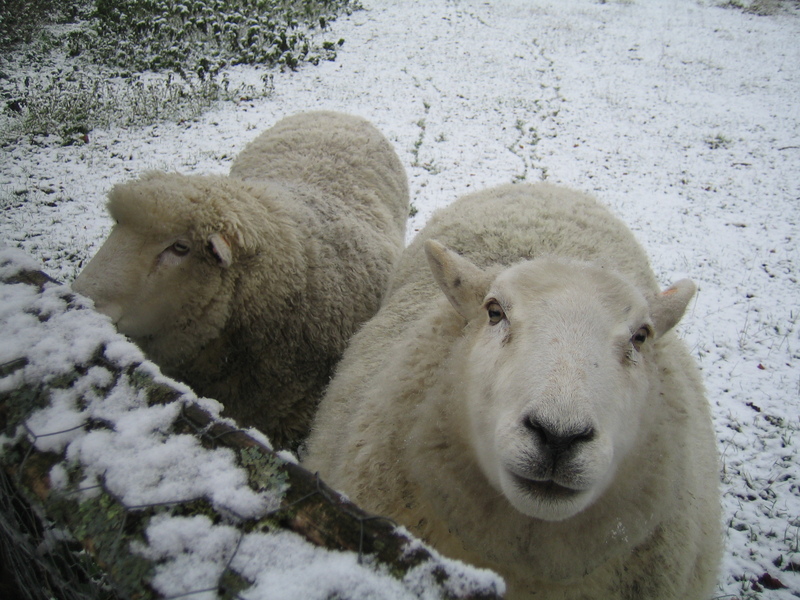 It’s snowing quite hard here in East Sussex, the sheep are well camouflaged but at least they’re warm in their woolly coats. 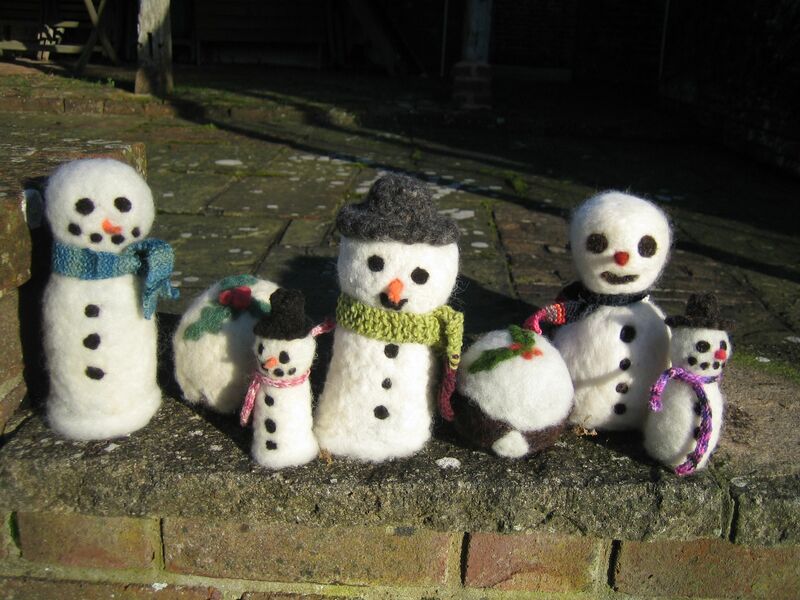 Since we rarely have enough snow in E. Sussex to make snowmen I decided to make some woolly ones, these are needle felted. Good news too, they wont melt when the temperature rises! I watched, horrified as Sainsbury’s advertised a balloon animal making kit for a man, I can imagine what every man I know would think of that in his stocking. I love Christmas, don’t get me wrong, we are in a recession so who buys all the crap that overflows all the shelves in our leading chain stores? We are constantly reminded about saving the planet, reusing, recycling, cutting down on packaging so why is Christmas exempt from this? How many container loads have made it accross the oceans? When looking for a special something, why not buy direct from the maker? 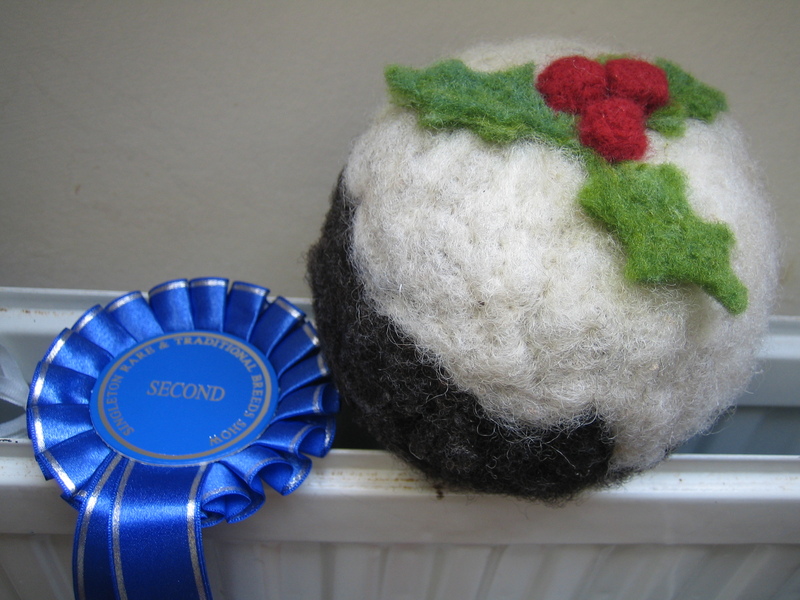 There are loads of wonderful markets, farmers & craft, support British producers, if you live in Brighton buy something made in Brighton, meet the maker. There are hundreds of small producers out there trying to make a living, putting their heart & soul into something they love to do, lets help them this yuletide. First of December has now arrived, the first window of the cat’s advent calendar has been open, wow he so enjoyed seeing a picture of a sardine, he just cant wait to taste his special cat food or to open his card from his special neighbour, then the joy of opening all his presents. Really???? ?